Hi all! 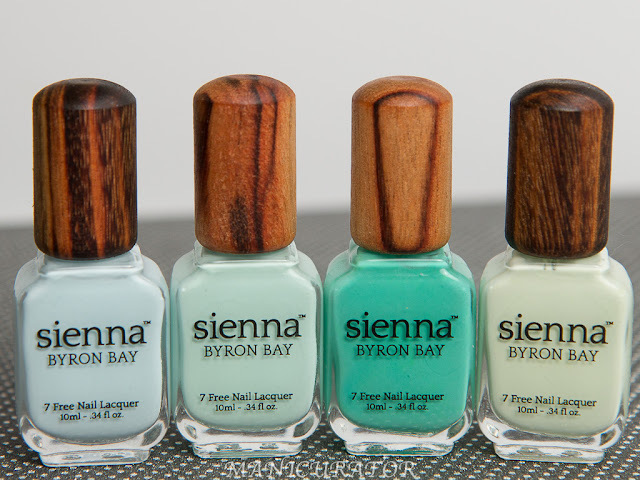 Did you catch my last post where I used the Zoya Spring 2015 Delight collection for sugar spun nail art? If not, check it out! It's quite the messy technique!! I created a tutorial where you can see just how messy it can be! So when I decided to do it this time I knew I had just the perfect product to test out with it! 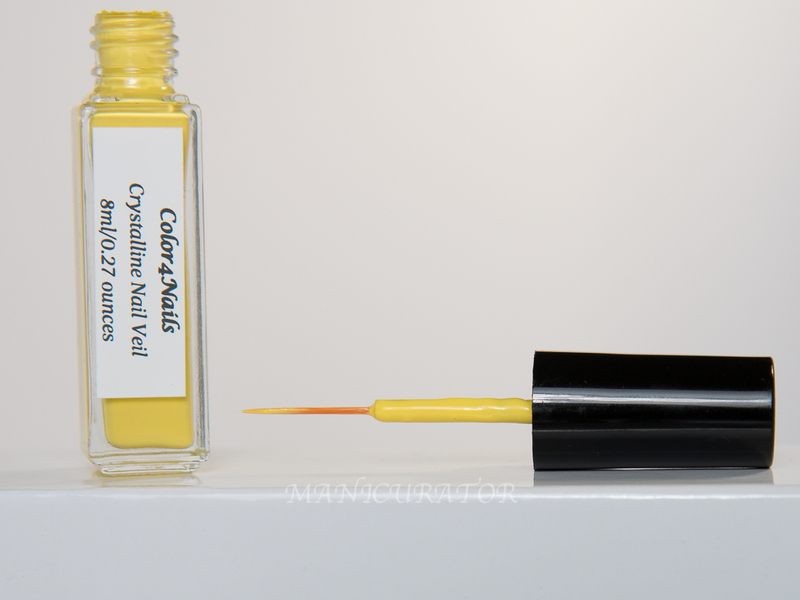 Application is very precise due to the thin brush. This product is super easy to use, and if you don't already know, is used to make clean up a breeze, or to help create nail art patterns on the nail (I haven't tried it for that method yet). My one and only issue with the product is that if you want to use it to protect your skin in larger sections, it takes some time to paint it on with the super thin brush. It would be wonderful if it's offered in two different brush sizes, but I'm just dreaming out loud. 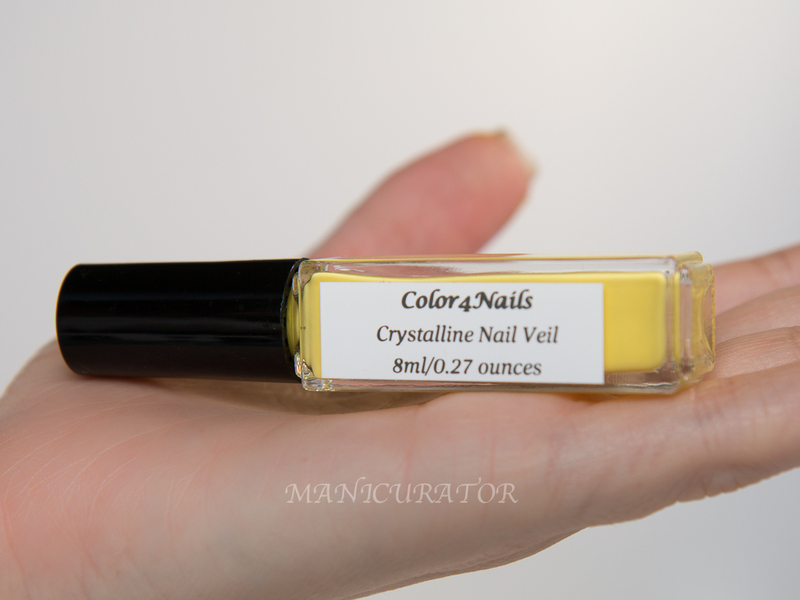 The thin brush allows you to get super close to the nail polish paint line and therefore makes this a very useful product in the nail artist's arsenal of nail art tools. 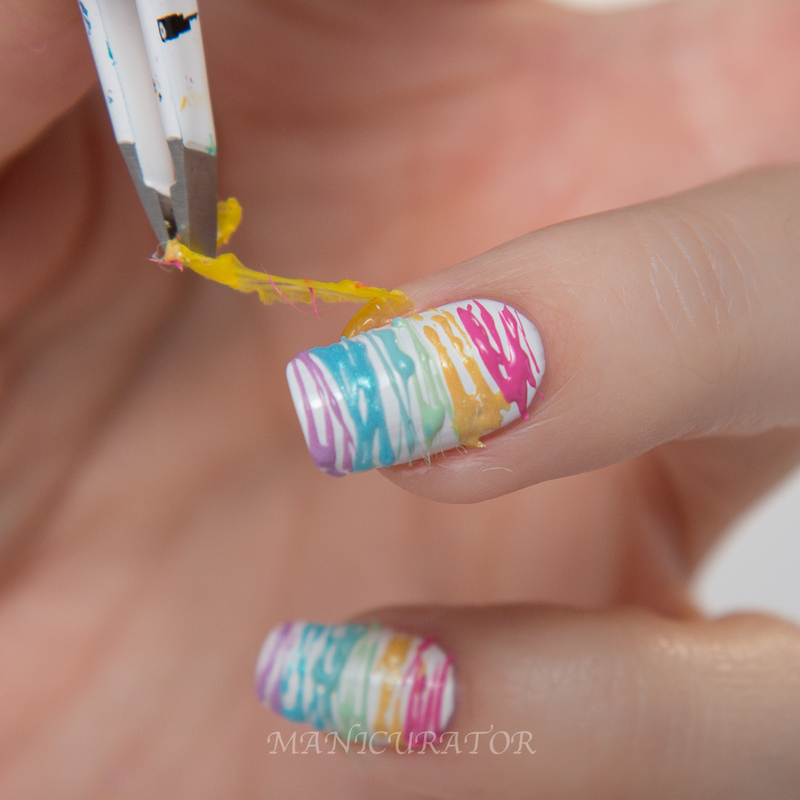 Here's just how messy sugar spun mani can be! 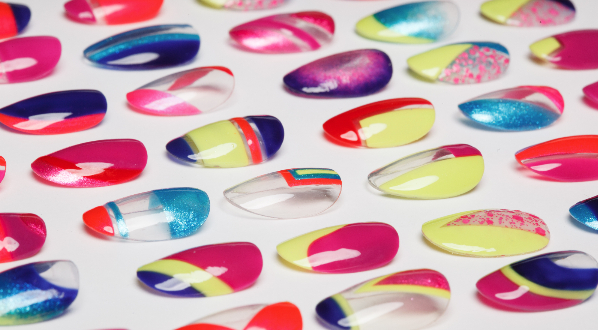 With this product, just use a tweezer, grab and piece of the Nail Veil (not difficult to do!) and pull! Instant and painless cleanup!! OH YEAH. Big fan of this product! A look at the final mani, with top coat. 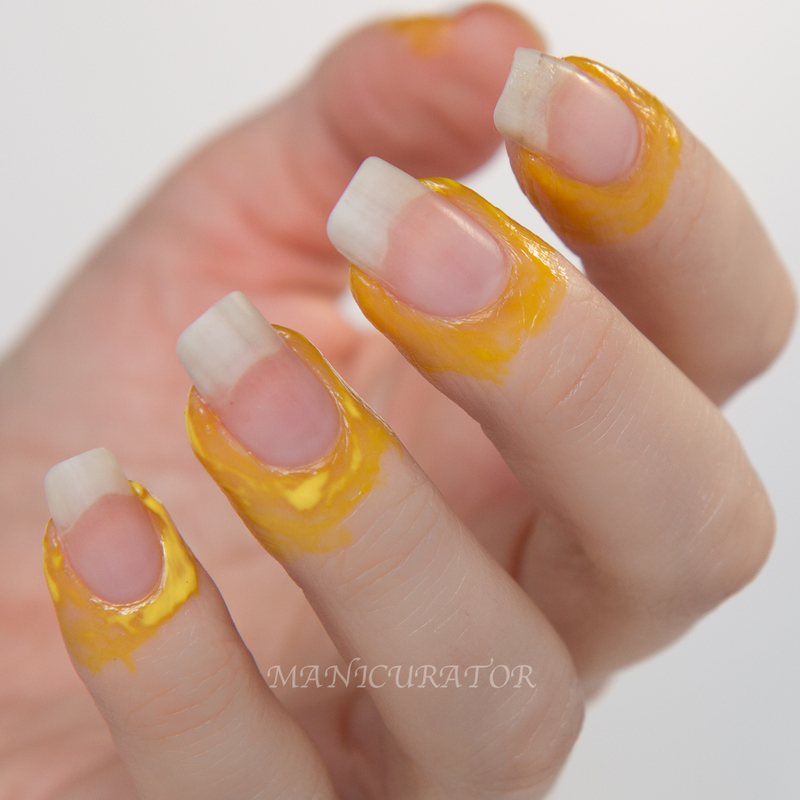 You can see it all stringy and textured before top coat and read all about it in my previous post. That is so awesome! I really appreciate the small brush as most techniques I use don't get my finger TOO messy, but I agree that a larger brush size option would be awesome! When I saw the mani I figured it would be when the latex barrier idea would come in handy. I bought some liquid latex (in purple, of course) from amazon and bottled it myself, and made a huge mess, so there is that. :D But whatever spilled on the sink counter did dry and peel up. lol! Very nice! Might be something for me to check out. 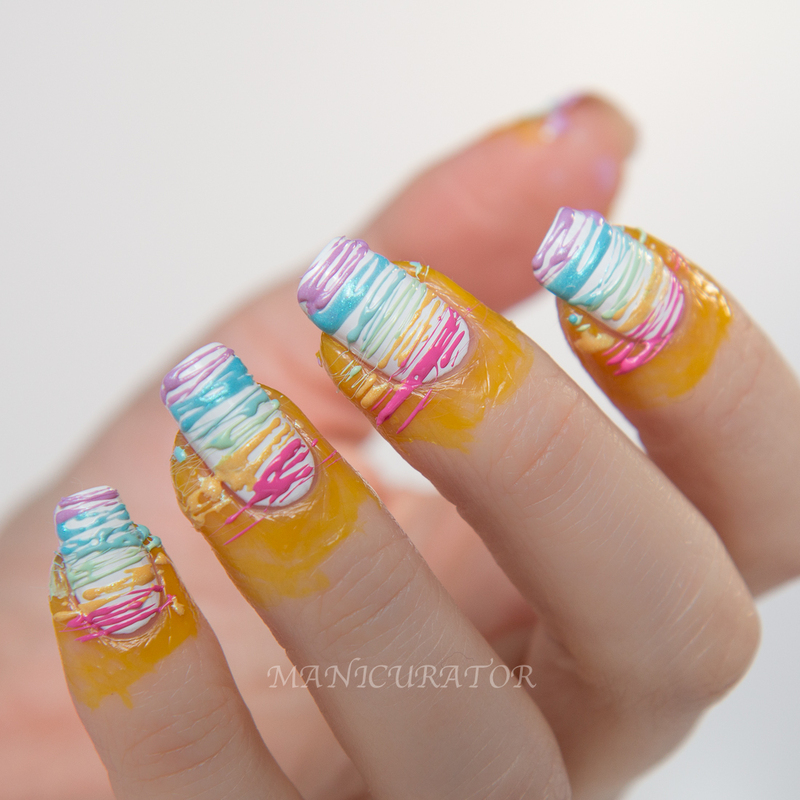 Your sugar spun manis are my favorites. 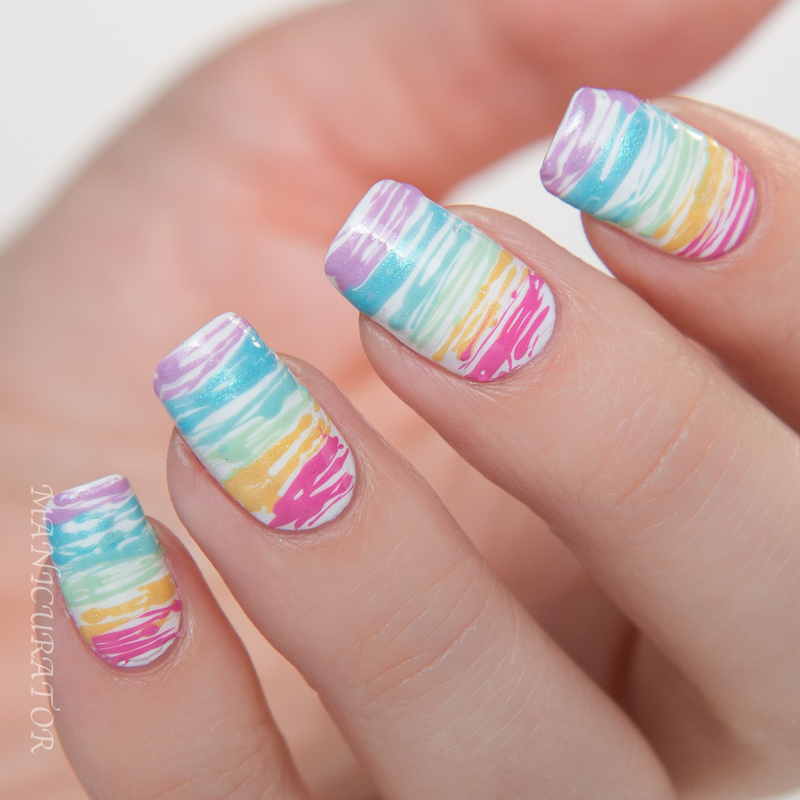 Your nails look delicious :D And the nail veil is definitely something I'd see myself using when doing gradients or watermarble ! This appears to work well! I have been using the Proclaim Hair Glue from Sally's and it works fine, but a fine application brush like this would be much better! And of course...your manicure is gorgeous! I've always loved this technique! Maybe one day I'll get brave and try it out. The veil looks like it works really well! Thank you for the review! I'm about to receive my press sample and was very curious to read your experience with it. Glad to know it's a good product.